Imaginative cocktails in a quaint little place in the heart of Woolton Village. What could go wrong? Quaint – a lovely little word that is perhaps thrown around a bit carelessly these days. The Pickled Olive, however, can only be described as quaint. The building itself was a former beauty salon named Deco but the hairspray has been swapped for Hemmingway Daiquiri’s, the shampoo for spritz and dryers for Daisy’s. Before a beauty salon it was originally a sweet shop and a lot of the customers reminisce about buying their sweets before heading up to the cinema. These days they are buying cocktails before the cinema. A trade-off we can all get behind. Woolton Village – an old-world facade full of gin goblins, curry houses, Scandinavian coffee shops and the city’s first and only cheese shop. It’s not a bad life around these ways, by any means. 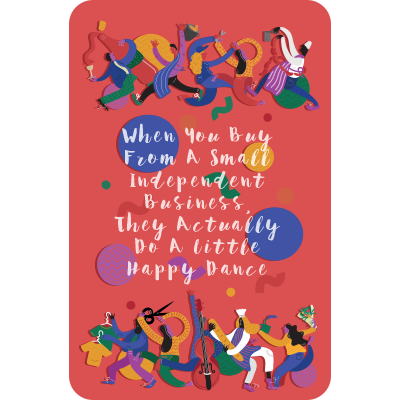 Recently though, there’s been an explosion of independents all adding their own charm. 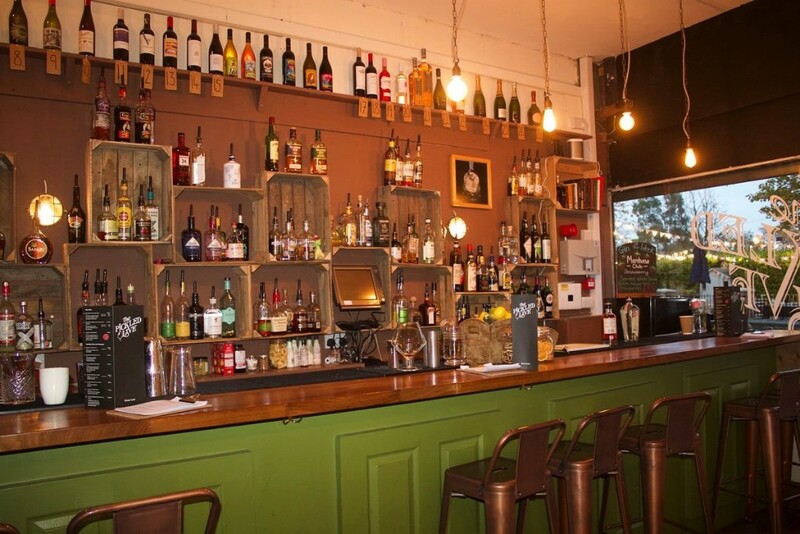 Despite a bustling vibe, Woolton Village is a good place to go and slow down and that’s why The Pickled Olive is one of the city’s best place for cocktails. 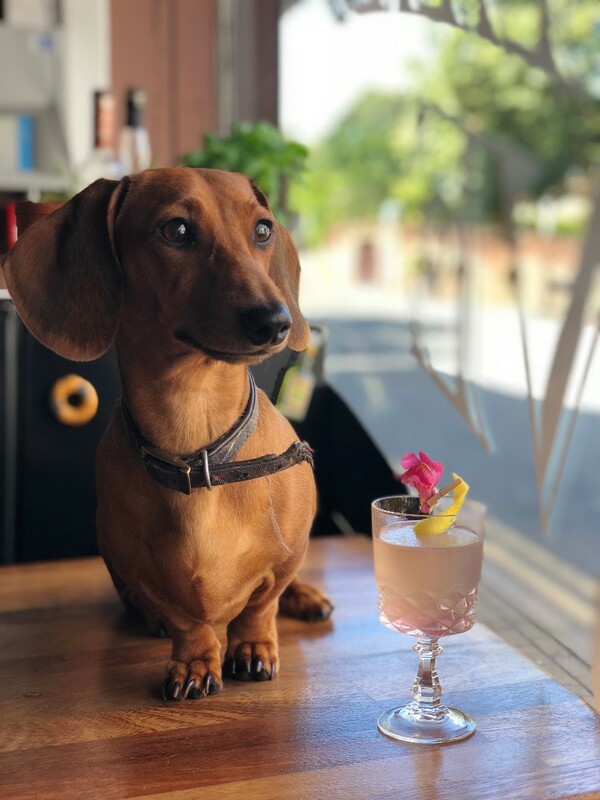 And that’s before you’ve met Pickles, the stand-in Daschund bartender who, despite making a crap French 75, will have you head over heels with her. Speaking of cocktails, let’s speak about cocktails. The Pickled Olive slings out quite complex drinks with effortless cool. Some ingredients you may have to Google and some combinations might sound weird – but trust us and trust them, we haven’t had a bad drink there yet. Cocktail drunk is up there with wine drunk – one moment you’re completely coherent and the next you’re telling your taxi driver why it is you’re not emotionally unavailable sneaking chips in to your mouth. We’ve all grown accustom to liking the feeling of drunk more than the taste of alcohol but The Pickled Olive is practically serving drinks that are as delicious as Um Bongo but make you feel all fuzzy. Choose from a weekly-changing spritz menu, an evolving beer and wine menu or from a few delicately selected cocktails. It’s also worth nothing it’s acceptable to go off-piste – if they’ve got the ingredients, they’ll make it. 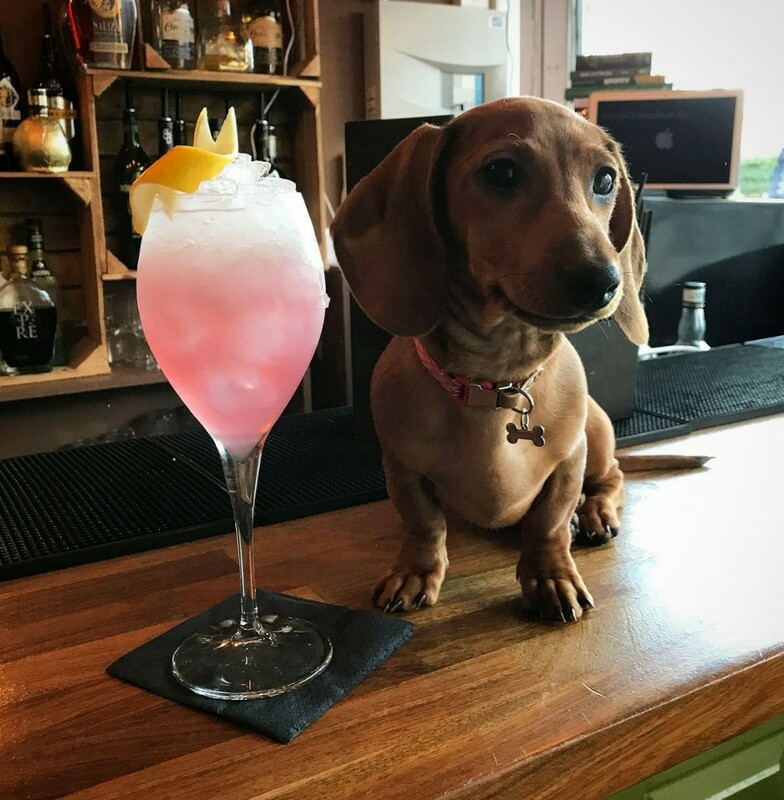 The two stand-out cocktails for us were the Venetian Sour – a pastel-coloured sweet, tangy and bitter combination of Aperol, grapefruit bitters, whites, lemon and dehydrated grapefruit. Our favourite though was The Trade Sail – Plantation 3 Star rum, lemon, cinnamon syrup, whites, banana liqueur and more. It’s got banana in it as well so ya know, if you think about it, it’s kind of good for you. 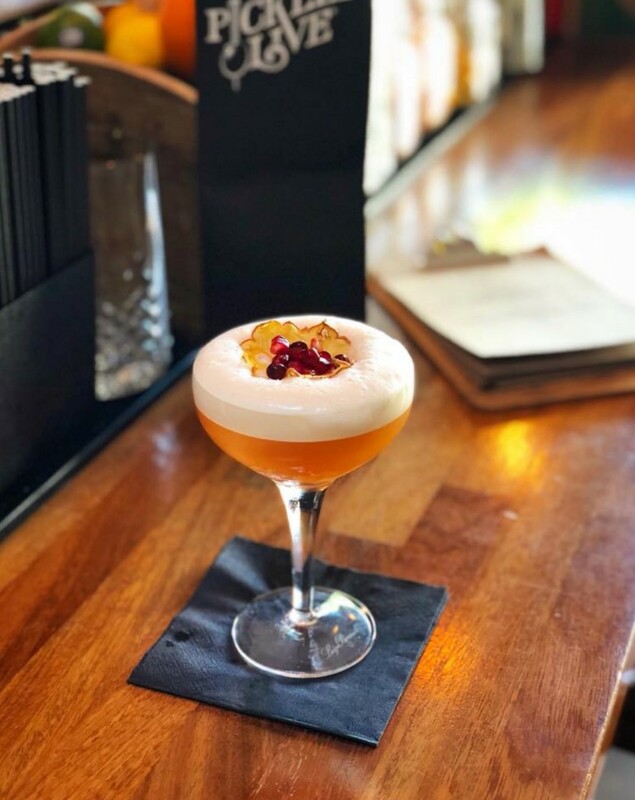 We are delighted to announce Independent Liverpool cardholders can get a monthly IL special cocktail for just £6. Every month the mixologists make a new one, meaning there’s always a reason to return. August is Gindependent Liverpool – Three Graces Gin, Chambreyzette, Lemon, Sugar, Mint Bitters & Lemon Oil. Look at it below beautifully modelled by Pickles.